Charles Gullickson is a Financial Services lawyer at Davenport, Evans, Hurwitz & Smith, LLP in Sioux Falls, SD. Financial and insurance regulatory matters make up a substantial portion of Chuck’s practice. 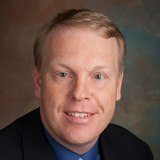 He devotes a significant amount of time to such banking law matters as lending transactions, loan documentation, bank acquisitions and branching, and Chuck advises banking clients regularly on regulatory matters and oversight of third party vendors and servicers, and credit card lending and securitizations. 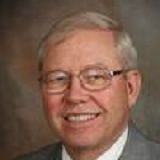 Chuck also handles various insurance regulatory matters and serves as Executive Director and General Counsel for the South Dakota Life & Health Insurance Guaranty Association. The latter position has led to his service on various task forces concerning nationwide insurance insolvencies. Charles has received an AV Preeminent® Peer Review Rating by Martindale-Hubbell®, for the highest level of professional excellence for their legal knowledge, communication skills and ethical standards. 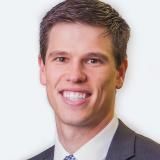 He has also been recognized by Best Lawyers® in the areas of Banking and Finance Law, and Financial Services Regulation Law and has been ranked by Chambers and Partners in the area of Corporate/Commercial Law, and ranked in the top 5% of practicing attorneys in South Dakota by Great Plains Super Lawyers in Banking. Chuck is among the many firm attorneys who have an avowed interest in the arts. 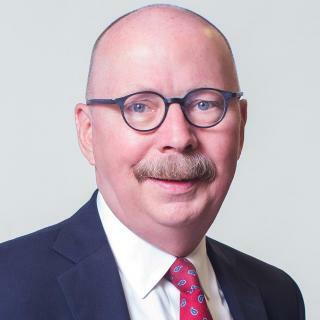 This is reflected in his community activities, where he has served as chair of the Board of Trustees for the Washington Pavilion of Arts and Sciences and chair of the Visual Arts Center. Chuck currently serves on the board of directors of the South Dakota Symphony Orchestra and the Wegner Arboretum Society. Contact Chuck Gullickson at 605-336-2880 or cgullickson@dehs.com. 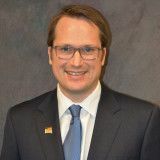 Sioux Falls, SD lawyer Charles Gullickson discusses Banking and Financial Services law at Davenport Evans law firm, founded in 1939. TRANSCRIPT available via YouTube.